Awards & Recognitions	Recognized as the leading provider of complete BI solutions. 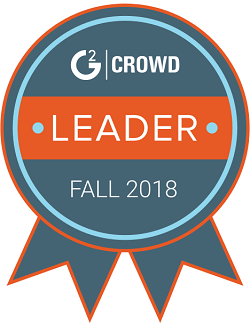 Solver has been recognized by user-based software and services review website G2 Crowd as the top solution for CPM software with a score of 4.6 for BI360. Partner solution voted most unique and innovative by the VAR partner community. Solver has been identified as one of the best LA software tech companies, based on its high levels of customer satisfaction and recommendation ratings from real G2 Crowd users. CIO Bulletin names Solver as one of the 30 most innovative companies. Solver was recognized as one of the Best Places to Work in Los Angeles. This tenth annual program was created by the Los Angeles Business Journal and Best Companies Group.This survey and awards program was designed to identify, recognize and honor the best employers in Los Angeles, benefiting the county's economy, workforce and businesses. The Best Places to Work business awards program sought to identify organizations that are actively working to improve their own performances through efforts to challenge employees in environments that make work fun and engaging. The Silicon Review’s 10 Fastest Growing Cloud Companies of the Year 2017 program identifies companies which are specialized in governing and securing cloud technology while empowering end users to make best decisions out of it. Solver is ranked as one of the top Budgeting and Forecasting solution provider by the leading publisher, CFO Tech Outlook that especially focuses on financial and technology sectors. This recognition of the companies in the 2017 edition is based on their innovativeness and advancement in providing Budgeting and Forecasting solutions. In addition to a full feature on BI360 as the leading BI solution for today's mid-market enterprises, The Silicon Review has named Solver one of the 2016 50 Best Companies to Watch. Gartner Magic Quadrants are a culmination of research in a specific market, giving a wide-angle view of how well technology providers execute against their vision. 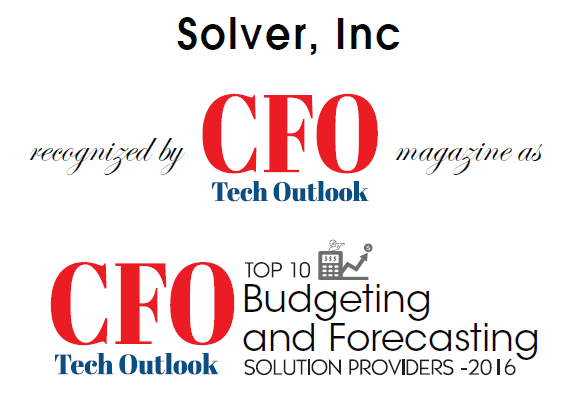 CFO Tech Outlook named Solver's BI360 to their list of Top 10 Budgeting and Forecasting Solutions for 2016 because the planning software provides a powerful and intuitive suite of modules for reporting, consolidations, budgeting, dashboards, and data warehousing. Solver was recognized by Acquisition International at the prestigious Business Excellence Awards. The awards highlight and celebrate the outstanding performance and results achieved by industry leaders in what still proves to be an extremely competitive market. For the second consecutive year, we are pleased to report that Solver has made Gartner’s Magic Quadrant. Gartner, Inc. is the world's leading information technology research and advisory company. Gartner Magic Quadrants are a culmination of research in a specific market, giving a wide-angle view of how well technology providers execute against their vision. In the March edition of CIOStory magazine, Solver was named one of the 25 Most Powerful Microsoft Solution Providers in 2015. The Microsoft Technology Special Edition of the monthly publication recognized providers who have successfully adapted to the culture of Cloud and Web-based business technology. In the Los Angeles Award Program, Solver was recognized as the best Computer Software company in LA for 2015, showing the ability to use best practices and implemented programs to generate competitive advantages and long-term value with the BI360 Suite of Business Intelligence tools, while making the Los Angeles area a great place to live, work and play. 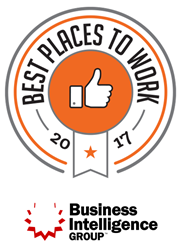 In the Los Angeles Business Journal and Best Companies Group’s 8th annual Best Places to Work in Los Angeles 2014, Solver was recognized as one of the best employers in LA, benefitting the county’s economy, workforce, and businesses. The list is made up of 100 companies. 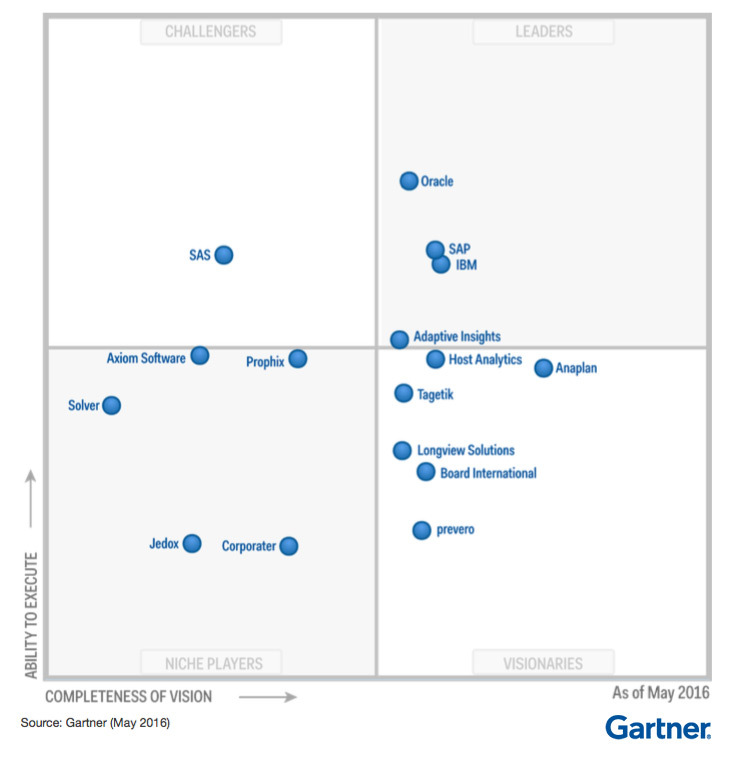 We are honored to report that Solver has made Gartner’s Magic Quadrant for the first time ever. Gartner, Inc. is the world's leading information technology research and advisory company. Gartner Magic Quadrants are a culmination of research in a specific market, showcasing how well technology providers execute against their vision. Inc., the only major business magazine focused exclusively for CEOs of fast-growing, private companies, delivers real solutions for today’s innovative company builders. Inc. provides hands-on resources and market-tested strategies for managing people, finances, sales, marketing, and technology. The publication also looks beyond work to address the entrepreneurial lifestyle. We are proud to announce that Solver has been selected as a finalist by the Golden Bridge Awards, in the category of Business Intelligence Innovations. The Golden Bridge Awards are an annual industry and peers recognition program, honoring the best companies of all types and sizes in North America, Europe, Middle-East, Africa, Asia-Pacific, and Latin-America. Other categories include Best Products, Management and Teams, Women in Business and the Professions, and PR and Marketing Campaigns from all over the world. 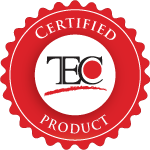 We are proud to announce that Solver's product BI360 is now part of TEC’s certified BI applications family of products. For a solution be to TEC Certified, BI360 is reviewed and verified that the feature and functionality claims are true and accurate. Click here for a copy of the in-depth product certification report, an ideal resource for any organization to utilize during their software evaluation process. More than 3,200 nominations from organizations of all sizes and in virtually every industry were submitted this year for consideration in a wide range of categories, including Most Innovative Company of the Year, Management Team of the Year, Best New Product or Service of the Year, Corporate Social Responsibility Program of the Year, and Executive of the Year, among others. On September 15, 2012 Solver won in the Most Innovative Company of the Year in the US and Canada for its advanced software solutions. This award is given to the most innovative and promising companies from a pool of hundreds from across North America. The Finalists are evaluated on both quantitative and qualitative criteria, such as financial performance, technology innovation, quality of management, IP creation, CAGR, execution of strategy, and disruption in their respective industries. Solver has been received the “Best of Business” award for 2011 by the SBCA Community. Solver has been awarded the Gasell award for 2011. This award is presented to companies that have shown success in the marketplace by growing at more than 50% annually for the past three years. “Solver is in a strong growth mode as customers and partners are increasingly looking to our BI360 Excel-based reporting, budgeting and data warehouse solution as well as our Microsoft Business Intelligence platform services. We are extremely excited to be honored with the Gasell award as a validation of our success in the BI market place," says managing director Johan Magnusson. In April of 2010, Solver was awarded the “Best Practice Award” from Microsoft. Solver was honored from among all MS partners in the Southwest region of the US. The award recognizes Solver’s work with more than U.S. based 100 partners, focused on key Microsoft wins that drove BI technology adoption. Solver has been selected as the 2009 Microsoft Worldwide Partner of the Year in Business Intelligence. The company was chosen out of an international field of top Microsoft partners for delivering market-leading Business Intelligence and reporting solutions built with the Microsoft suite of Corporate Performance Management solutions and technologies.